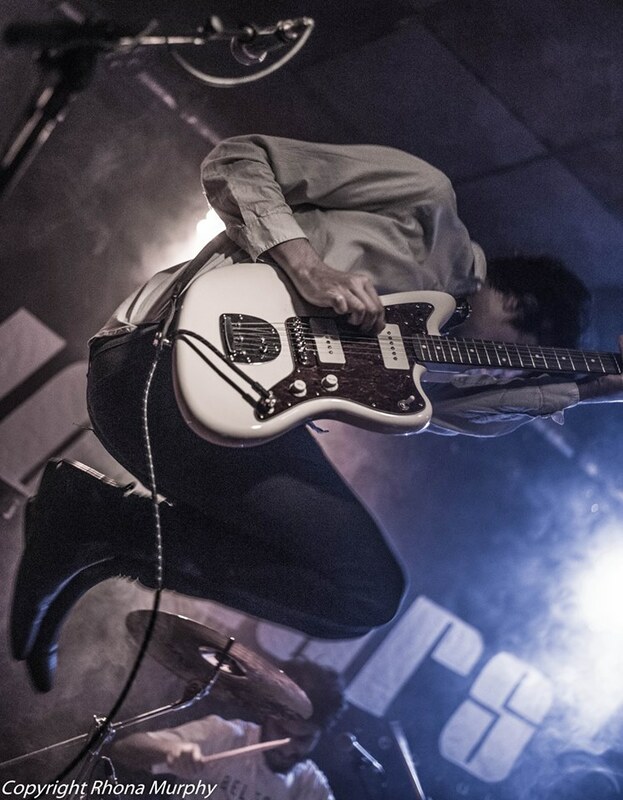 The Joiners in Southampton is a legendary venue championing new music and the gig on 1 April run by This Feeling featured 3 live bands followed by DJ sets until the early hours. Quick recap on The Joiners. Many great bands have played here including Coldplay, Radiohead, The Vaccines, Arctic Monkeys, The Libertines, The Maccabees and less than 2 years ago, Catfish and the Bottlemen. This place is steeped in history, great bands start out here. It may only hold 200 people but it has had a massive influence on today’s music. The Joiners recently featured on Radio 1 as part on the Independent Music Venue week which saw Steve Lamacq visiting The Joiners for an evening of live music. More recently Rob Da Bank has been there to judge the Common People Festival heats which has given bands the chance to compete for a slot on The Joiners sponsored Uncommon People Stage. Passion for new music oozes from the building. It might be tiny but the great acoustics and history attracts great bands. Recently Pretty Vicious, The Sherlocks and Eliza and the Bear have contributed to this venue’s continuing success in supporting new music. It also seems to provide many a band member with a bar job when required, sort of like a band youth club for the seriously talented! First up Submariner who are becoming well known on the local circuit recently supporting Fatherson at The Talking Heads in Southampton. Good songs and crowd engagement meant Submariner set the night up perfectly for The Wholls and Bel Esprit. Definitely one to catch again and apart from their guitar malfunction (see below) they were great openers for the evening. I love how these bands pitch in for each other. The Wholls didn’t hesitate in lending Submariner a guitar when a broken string threatened to end their set prematurely! Next band to appear, and reclaim their guitar, was The Wholls. Billed as a cross between The Foals and The Clash this Bedford band has been in the studio with LA producer Steve Baughman who has worked with Michael Jackson, Usher, 50 Cent and Snoop Dogg. Potentially a bit good then! 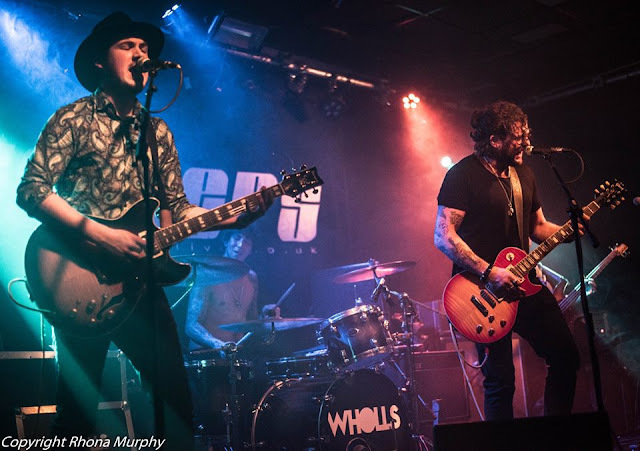 Bizarrely The Wholls played to a 2 billion world-wide audience when they performed X21 at Miss World in December 2015. These guys know how to work a crowd, from the moment they hit the stage they controlled the place. They were engaging, charismatic and seriously good! 9 songs including their best known tracks Angry Faces and X21. 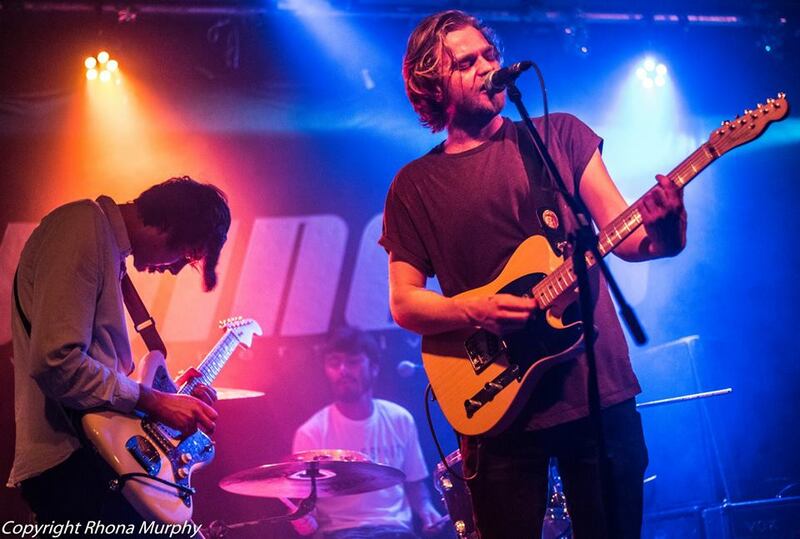 Big vocals, big drums, big guitars these guys are heading for major success. Their cover of Nirvana’s Lithium was inspired. The Wholls didn’t disappoint they were every bit as good as their hype. I’m still not clear on why they performed at Miss World though!! Onto the headline act Bel Esprit who are currently on a mini tour to promote their new single ‘Leave Me Here’ (out on 8 April). Bel Esprit are riding high after great reviews and first play of their new single on It’s All Indie. Whatever ‘It’ is Bel Esprit have got it! Gearing up for festival season and playing on the Uncommon Stage at The Common Festival in May alongside Lonely The Brave this band is on the brink of massively deserved recognition. Inspired song writing underpins Bel Esprit’s music with lyricist Billy Herklots starting the writing before the whole band works on the music together. Bel Esprit owned that stage at The Joiners and 10 thumping good songs had the crowd dancing, jumping, moshing and singing the words back to the band. Awesome! Rock star drumming from Sachin Croker, thumping bass from George Wardley and massively energetic lead guitar from Fahad Siddiqui who is one of best guitarists I’ve heard for a long time. Billy fronts the band with guitar and controlled vocals that draw you into the music. Bel Esprit has an impressive range of their own music to choose from and also include a cover of Radiohead’s ‘Creep’ in their setlist. ‘Lose My Mind’ has been the band’s biggest success so far with a recent play on Steve Lamacq’s show on BBC 6 and is the song that whips the crowd up into crowd surfing/stage invasion mentality. The only criticism I have of Bel Esprit is that they’re not on the stage for long enough. The audience didn’t want Bel Esprit to stop playing and I’m looking forwards to more song writing and longer gigs. All 3 bands complemented each other so big respect to whoever combined these acts. DJ sets completed the night’s entertainment. The Joiners knows how to have a party!